Work breakdown structure (WBS) is a quite productive and basic tool that helps managers to plan, organize, monitor and evaluate large projects by breaking down the overall project into smaller parts. Today, we gonna explore more about this subject by checking a number of work breakdown templates for a wide range of organizational types. 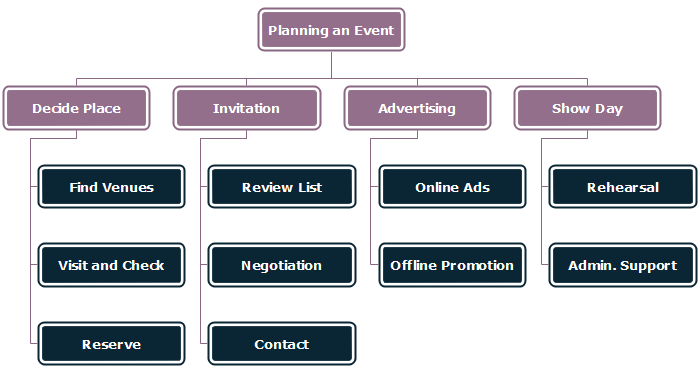 The basic work breakdown structure is shown as the following event planning template. The initial goal is at the top of the whole chart, and each sub-branches represents for a specific task. 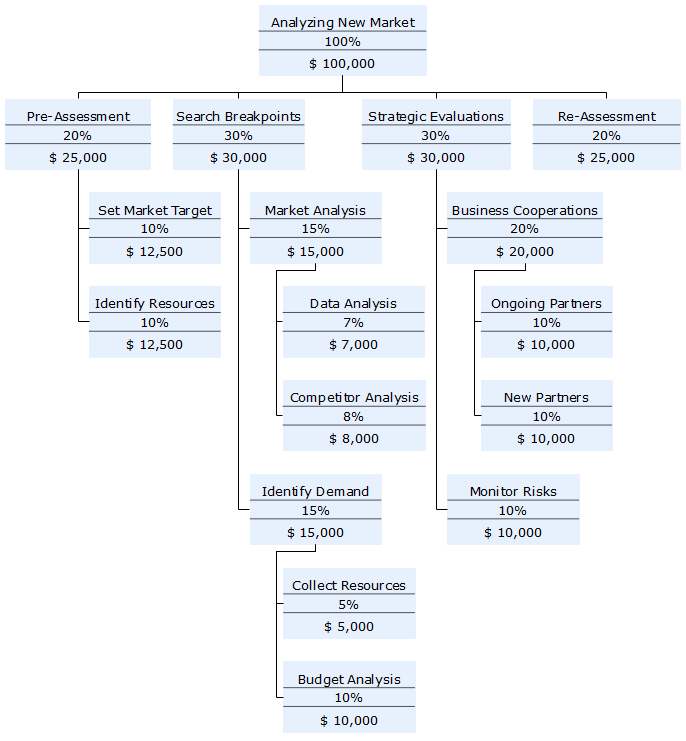 The template here shows the new market analysis task for small firms with a limited budget, say, $100,000 in total. The percentages here of each task stand for the corresponding breakdown proportion in terms of the overall project. The budget for each task is assigned according to the breakdown proportion. For example, the sum of the four sub-tasks pre-assessment, search breakpoints, strategic evaluations, and re-assessment equals 100%. 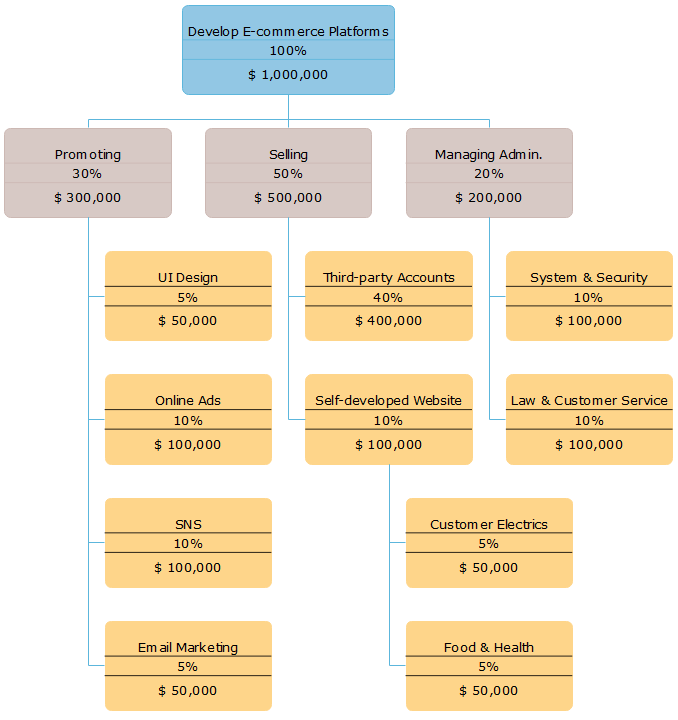 This template shows the development of a new e-commerce platform for a middle-size company with a total budget of $1,000,000. You can clearly see all the key sub-task names in this template. The template here displays a bit different presentation. The two task status (either “in progress” or “done”) are labeled for each task. Moreover, as the firm scale increases, the total budget now is $5,000,000. Any Work Breakdown Structures with Names? Yes. Besides task name, task status, task budget, and breakdown proportion, you can also insert leaders’ names for each of the tasks as shown in the below building construction template. 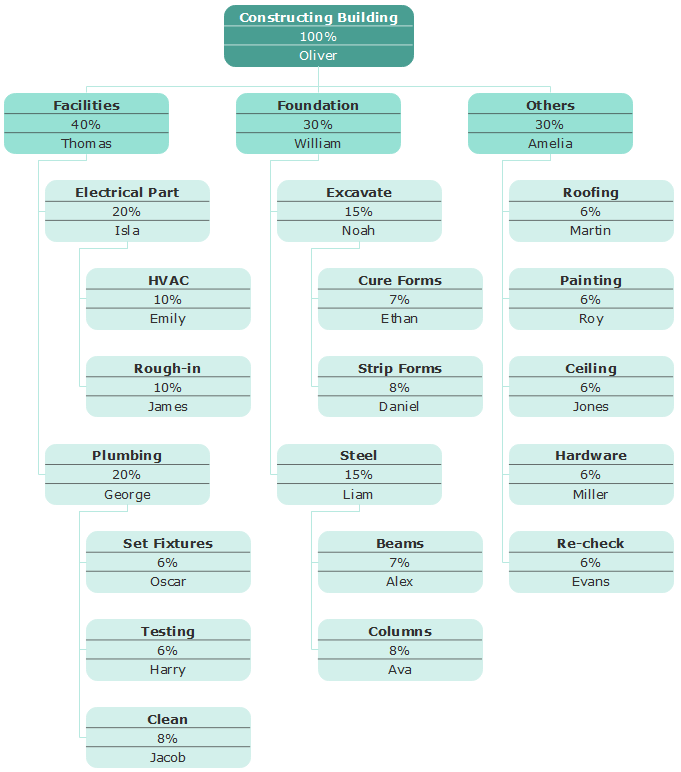 How Could I Create a Work Breakdown Structure Chart? So far, we have checked out some useful work breakdown structure templates for many industries and sectors. 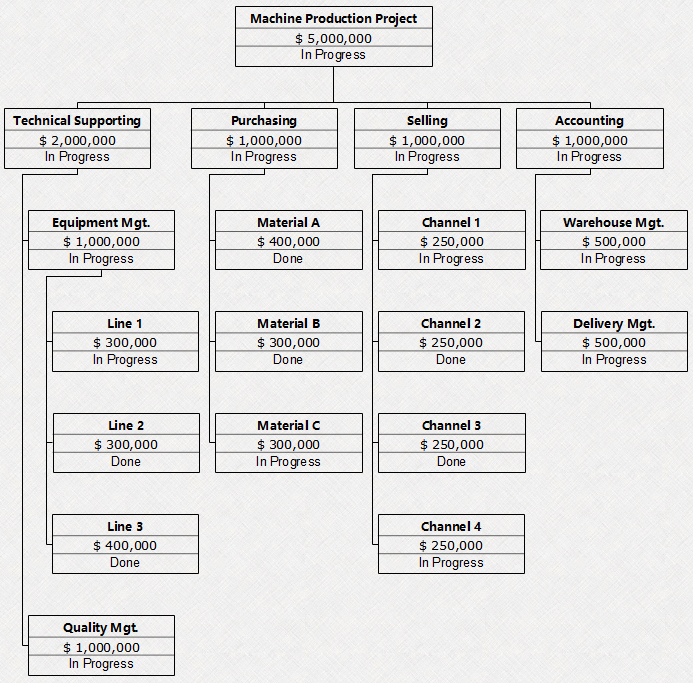 It is also easy to create your own work breakdown structure chart even without prior design experience. 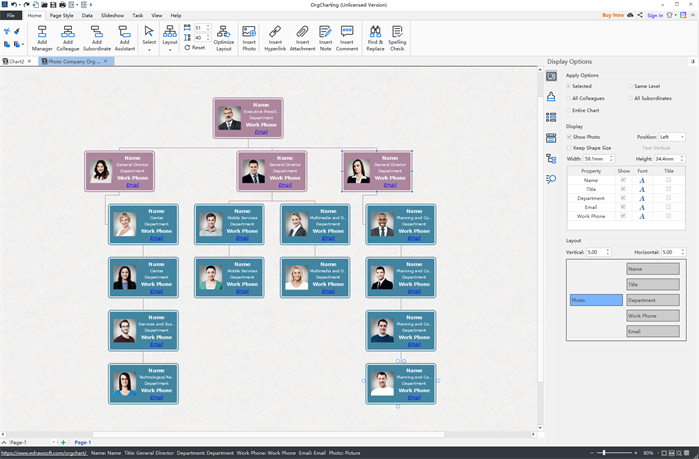 Just see this easy org chart creator and free download it to create your own work breakdown structure template!